Bush Business Series C 18W 5-Shelf Bookcase in Hansen Cherry - in stock! Bush Business Series C 36W Return Bridge in Hansen Cherry - in stock! Bush Business Series C 60W x 24D Credenza Desk in Hansen Cherry - in stock! Bush Business Series C 2 Drawer Mobile File Cabinet in Hansen Cherry - in stock! Bush Business Furniture 66H 5 Shelf Narrow Bookcase in Hansen Cherry - in stock! Move 80 Series 48W x 24D Height Adjustable Standing Desk in Cherry - in stock! 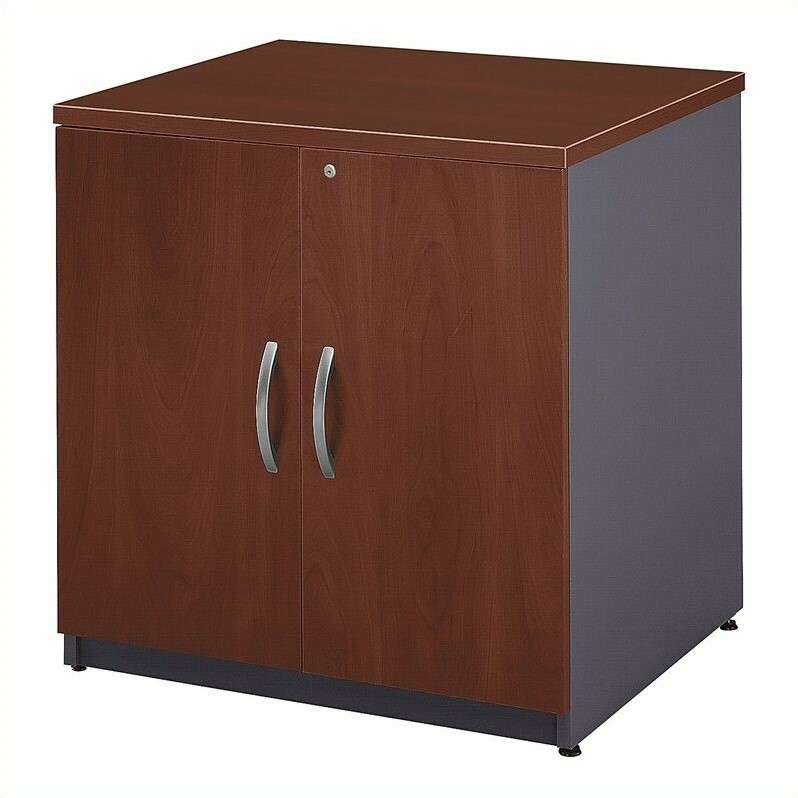 Customize your storage with the BBF Series C 30"W Storage Cabinet. This convenient storage unit has a lot to offer, with Euro-style self-closing hinges, and a lock to secure your supplies, the interior offers ample space with an adjustable shelf to make room for electronics, printers and more. Wire management grommet at the back of the cabinet helps keep your space neat, and adjustable leveling glides allow you to adjust the entire unit. 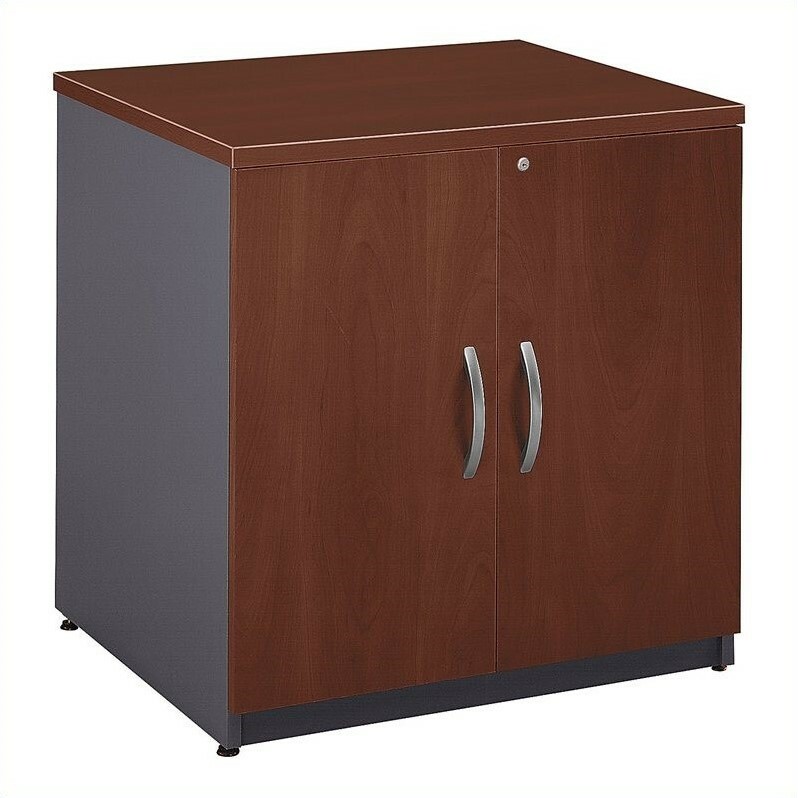 Add onto the 30"W Storage Cabinet with the 30"W Hutch to increase your storage, or use it at the end of your Series C desk to increase work space. Two Storage Cabinets can be placed side-by-side to accommodate a 60"W Hutch for even more versatility. Solid construction meets ANSI/BIFMA test standards in place at time of manufacture; this product is assembled in the U.S.A. and is backed by BBF 10-Year Warranty. How much does this product weigh? This weighs 97 Lbs.